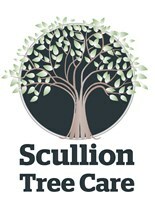 Scullion Tree Care - Tree Surgeon based in Wantage, Oxfordshire. At Scullion Tree Care we pride ourselves on the high quality of our work at competitive prices and the friendly nature of our staff . Our fully trained and qualified arborists have over 10 years of experience and have the skills to undertake all aspects of tree and garden work. We strive to leave every customer happy with our professional and friendly service. Oxfordshire and all surrounding areas.